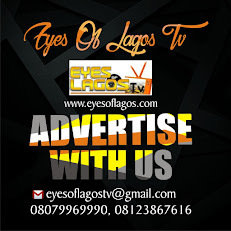 Eyes Of Lagos reports that, There was confusion in Ogba community, Lagos Mainland, earlier today, Friday, November 23, 2018, following an accident involving a tricycle better known as Keke Marwa that rammed into petty traders in the axis. The incident happened after an epileptic driver riding in his Keke Marwa suffered an attack while in motion. As a result, he lost control of the tricycle ramming into some petty traders by the roadside. During the accident, about three food vendors and persons buying from them were crashed into by the moving marwa which had just two passengers at the time of the incident. The accident created a scene as onlookers gathered to tend to the victims of the crash. The victims with serious injuries were rushed to a nearby hospital for urgent medical care. The driver was also moved out of the scene by other concerned Keke drivers, Eyes Of Lagos learnt. The incident led to a bit of traffic in the usually busy Ogba bus stop as it occurred during the rush hour.